Complete Care Medicine enters into a professional relationship with iQon to meet patients’ cardiopulmonary needs. As a result, the family doctor office now includes monitoring and conditioning to their list of services to enhance this care aspect. 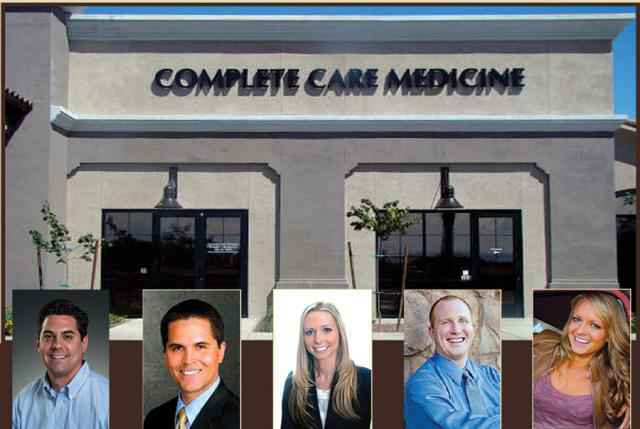 (Newswire.net — May 24, 2014) Gilbert, AZ — Gilbert residents know Complete Care Medicine as the health care provider who offers sick visits, conducts well child checks and offers phlebotomy services as well as chronic condition management. Now, the physician’s office has partnered with iQon to enhance its cardiopulmonary service. iQon is well known for its accurate cardiopulmonary function measurements. Yet there is more to this service than just appropriate care and maintenance of healthy heart functions. Improving cardiopulmonary conditioning is a huge aspect of healthy dieting. Since the physicians at Complete Care Medicine – Dr. Michael Herrera and Dr. Kody Smith – greatly value a comprehensive approach to successful health care, patients frequently discuss weight loss strategies in addition to other health concerns. It is well documented that excess body weight can play a significant role in the development and ongoing nature of some diseases and chronic conditions. As a result, the physicians have come to realize that individualized weight loss plans and personalized caloric intake schedules are of great value to patients. Going hand in hand with healthier nutrition choices is appropriate exercise. Since the doctors understand that it is dangerous to change from a primarily sedentary lifestyle to one with even moderate activity, consistent cardiopulmonary function monitoring is crucial. Of course, patients do not have to be on a weight loss regimen to appreciate the partnership with iQon. All patients benefit from this working relationship that serves the community in general and the patients in particular. Complete Care Medicine provides well women exams as well as the services commonly associated with a family physician or Gilbert pediatric doctor. Excellent service and patient convenience are big parts of the health care provided by the physician’s office that is located at 1489 South Higley Road in Gilbert. Call 480-457-8800 to make an appointment or visit the family doctor online by clicking here.